1) Key-Key Fob: Who wants another key on their keychain, right? 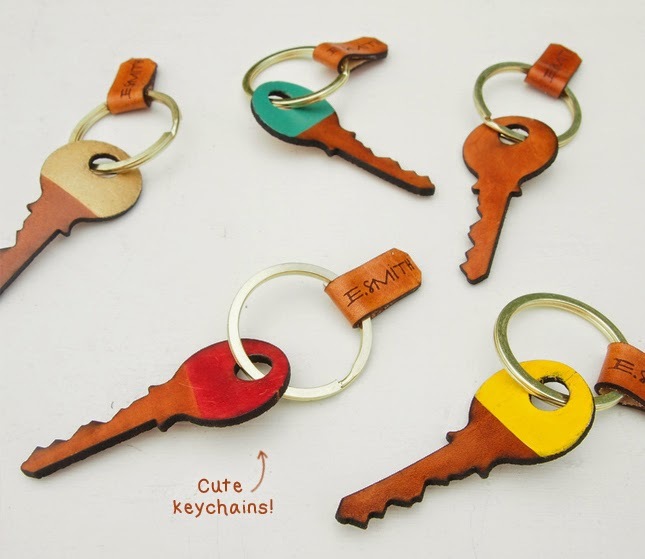 Well, maybe if it was this particular beautiful leather key, laser cut and hand painted/stained. Love the gold! 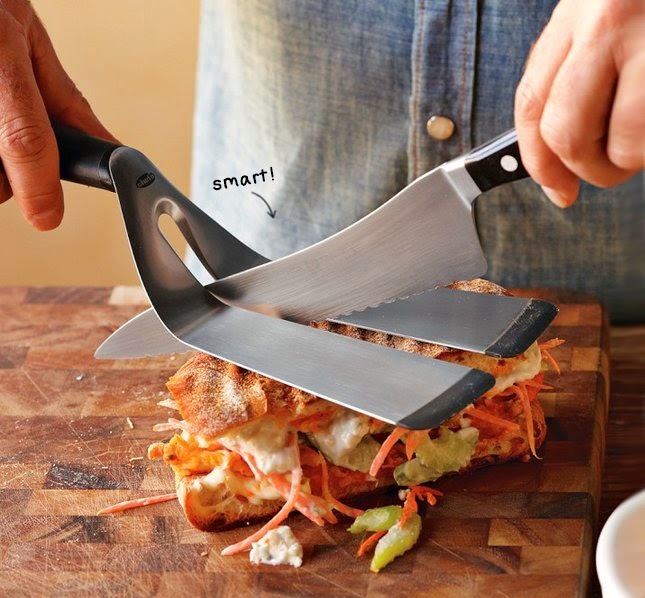 2) Chef n' Panini Spatula: Designed for the hot-off-the-press panini, this tool is perfect for lifting and slicing your delicious sandwich. 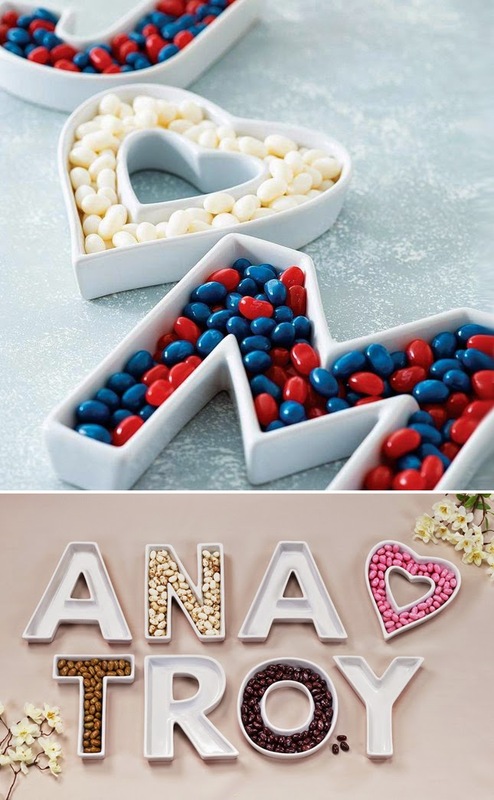 3) Ceramic Letter Dish: A fun way to decorate and serve chocolates or candies at the same time. 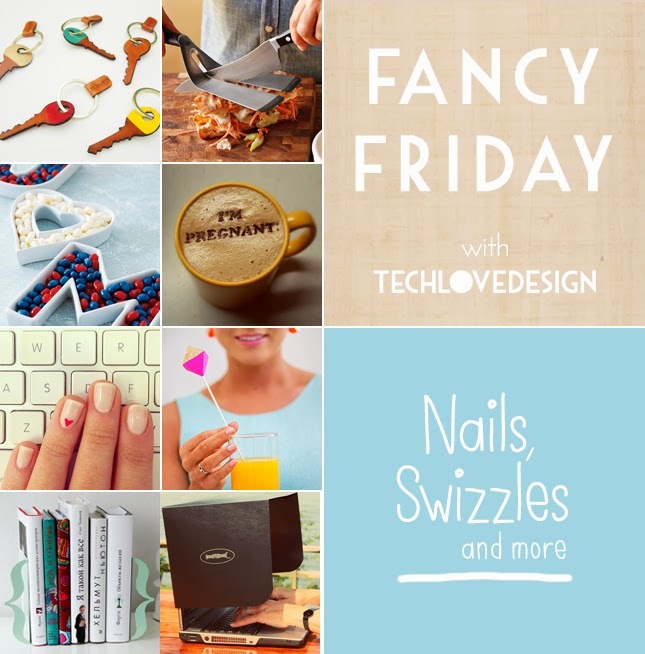 Looove this idea, I need to start entertaining more often! 4) Coffee Message: Sprinkle a message in your coffee using chocolate or cinnamon. 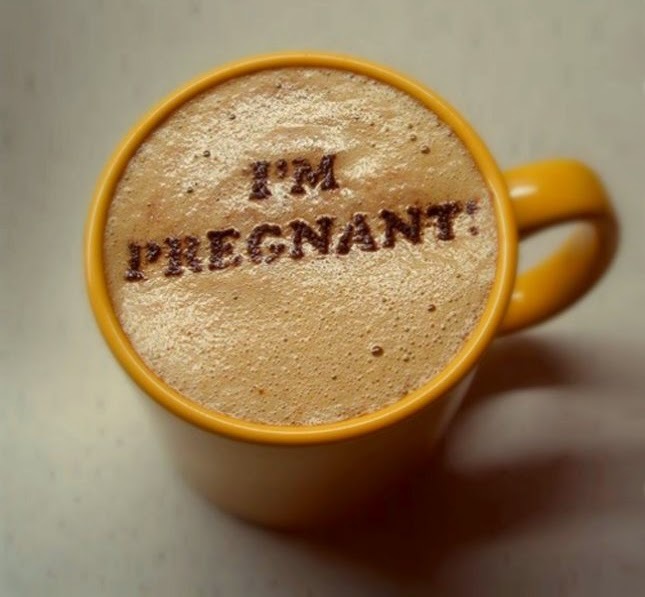 This stencil comes with: "I'm Pregnant, Mines a Latte, Drink Me, and I'm Hot". Not crazy about the choices, there should be "Good Morning, Hi Baby, Wakey Wakey, and Made With Love"...got any other ideas? 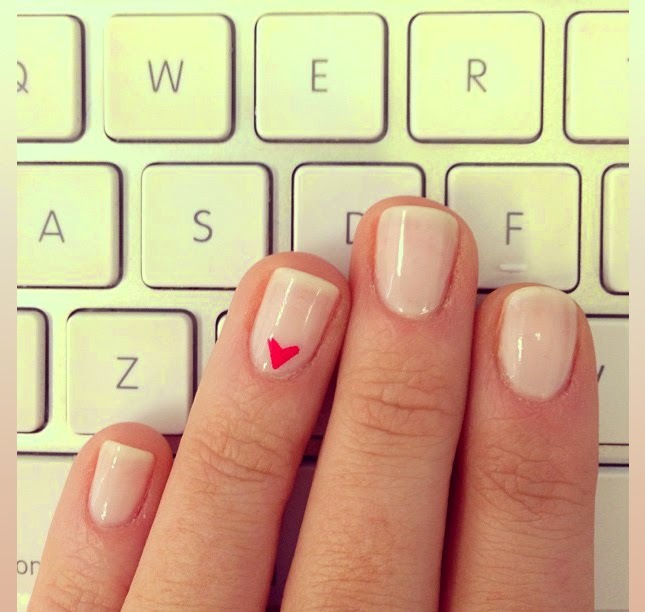 5) Wear Your Heart On Your Nails: Base coat is Ballet Slippers (Essie). Pretty & Feminine. 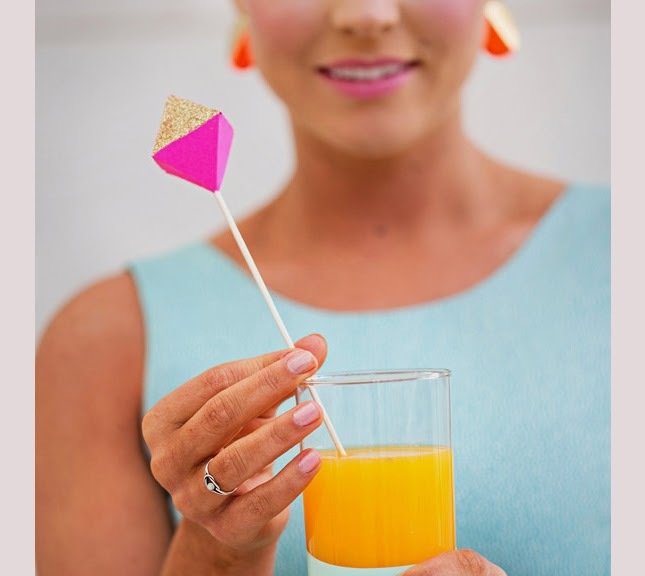 6) Geometric Swizzle Sticks: Add a pop of colour and pizazz to your party using cocktail swizzle sticks. Made of bright colour card stock with a glitter facet attached to a bamboo skewer. 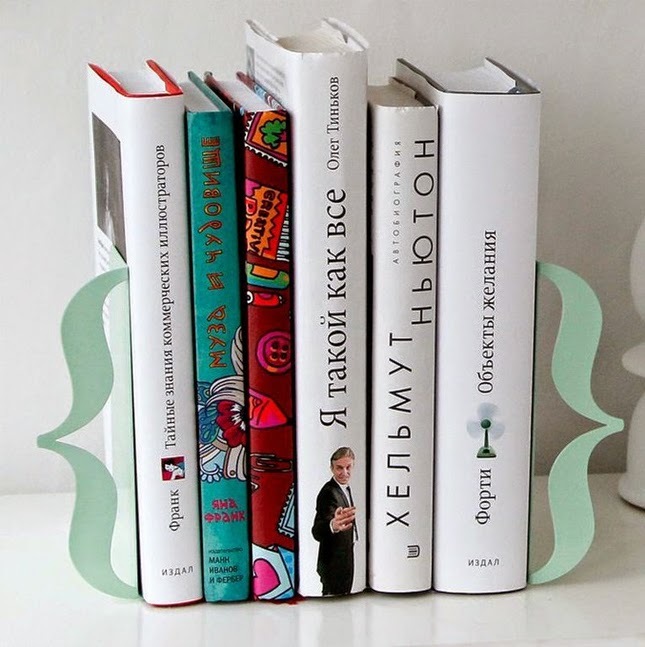 7) Mint Green Bracket Bookends: Organize your bookshelf with these clean and stylish bookends. I'm loving the modern and minimalistic design...and that fresh mint colour? Ouu la la! 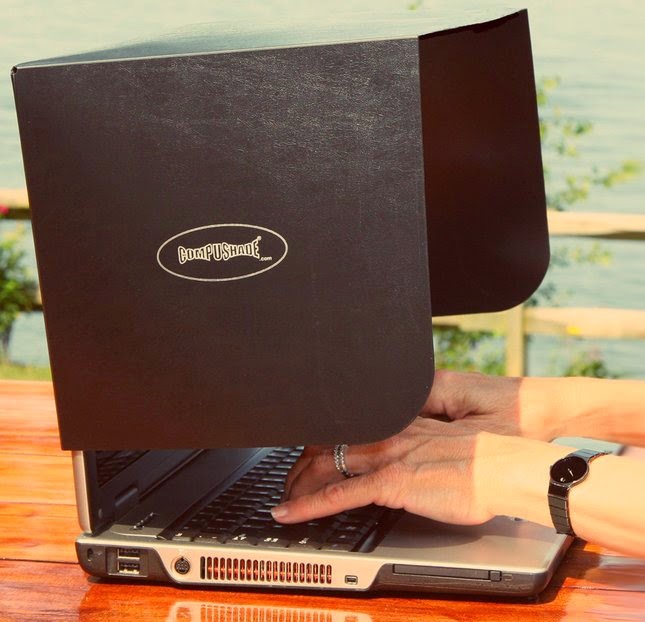 8) Compushade: Love being on your computer outside? Hate having that screen glare from the sun? Finally, a solution! As weird as it looks, the idea is genius! Gotta get my hands on this.